Weapons and the race for the biggest and deadliest ways to win a conflict have been part of the world since before records began. There are some significant inventions that are noted for their important jumps in technology — gunpowder and radar, for example, and more recently, the electromagnetic railgun that was spotted on a Chinese naval warship. But there are plenty of other inventions that are better known for how bizarre they are, and their various degrees of success. Some have been capable of taking thousands of lives, while others were solely monuments to human creativity. Here are five of the most unusual in recorded history. No, it’s not the name of a Hollywood romantic comedy, but a terrifying-looking medieval weapon that was used to capture high-ranking nobles alive, with the goal of holding them hostage. The sharp internal spikes meant that resistance would be all-but impossible, and the man catcher could be used to capture people on horseback or on the ground. Due to its vicious but non-fatal design, it was also used to restrain violent prisoners up until the 18th century. While the man catcher is no longer in use, it has inspired several modern incarnations, including the Japanese sasumata, which is a far gentler version that has padding and blunt endpoints and is mostly used by riot police to restrain large or violent crowds. The Bat-bomb canister used to house bats, and would be dropped from high altitude over the target area. Developed by the US during World War II but never deployed, the bat bomb is exactly what the name suggests — a large metal bomb-shaped carrier filled with more than 1,000 Mexican free-tailed bats that had small bombs attached to each and every one of them. The carrier would be dropped from the air onto Japanese cities, releasing the bats: the idea was that the bats would then set up home in attics in homes across these cities. Eventually, their attached bombs would explode, thus starting a sizeable fire in the city. 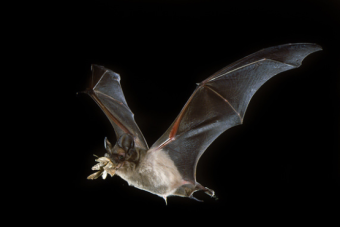 Experiments were promising until, on one test run, the bats were accidentally released early and roosted under a fuel tank, causing the entire test range to go up in flames. Despite that setback, the project got back on track and would have possibly been deployed but was eventually cancelled because the final model would not be completed until mid-1945, which was considered too late during the war effort. The “bat bomb” was neither the first nor last time that animals have been incorporated into military service. Dogs, cats, snakes and even dolphins have been used, the latter having been trained to locate underwater mines and rescue divers as part of the US military since the first Gulf War. It’s like something out of a James Bond movie, except for the fact that it was very real, and very deadly. During the Cold War, the KGB created a small pistol that looked eerily like a tube of lipstick but delivered a 4.5mm single shot instead of a kiss. 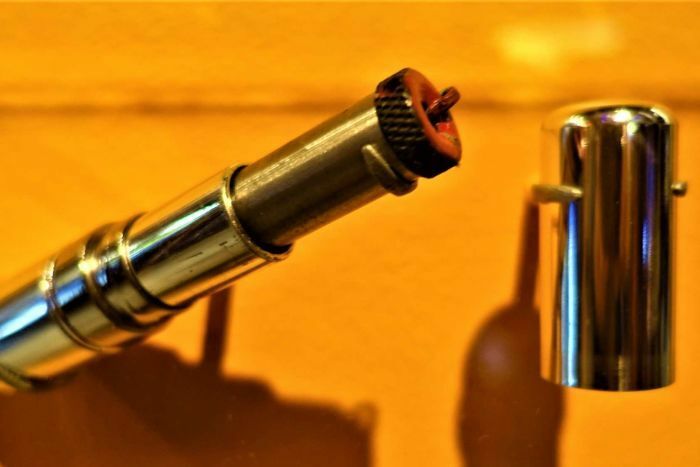 It was first used in 1965 and its existence was discovered at the West Berlin check-point; a lipstick pistol is now kept at the Spy Museum in Washington DC. While the ‘kiss of death’ had a relatively short period of use, it’s one of several weapons that have been disguised as a common and innocent item; there has been the ring gun that could fire six rounds, and guns hidden in coats, a Vespa, torches and umbrellas. For as long as there has been war, there have been casualties. While in many societies there has been an unwritten rule to treat the bodies of the deceased with respect, there have also been times when corpses of fallen soldiers and civilians were given a second lease of life — as weapons. The Mongols, the Hussites (a Czech Christian movement during the 15th century), and the British Army have all used bodies as weapons at least once, although it is best known as being a popular and long-serving gambit of the Mongols over hundreds of years. This tactic was in fact the first recorded use of biological weaponry, with some of these fighters not just using the bodies of the fallen but also deliberately digging up victims who had died of the plague and catapulting them across enemy lines to spread fatal diseases. There is speculation that this contributed to the spread of one of the worst human disasters in history: the Black Death in Europe during the 14th century, which killed an estimated one-third of the population. The tactic was used, albeit replacing dead humans with dead animals, during the Hundred Years War between England and France. 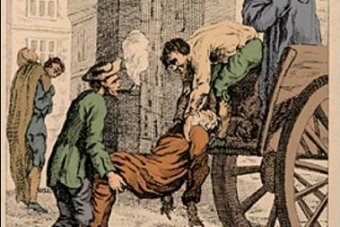 The last recorded use of plagued-infected corpses was as late as the 17th century, when Russians fighting against Sweden in Estonia threw bodies at their enemy. An invention that combined deadliness with creativity, Project Blue Peacock was an unusual combination of nuclear landmines and chickens. Following the end of World War II, the British Army was determined to stop the Soviets from invading West Germany, and so the idea of seeding the North German Plain with nuclear landmines was hatched. The landmines would create a deadly border to keep the communists at bay. The only catch to making this work? 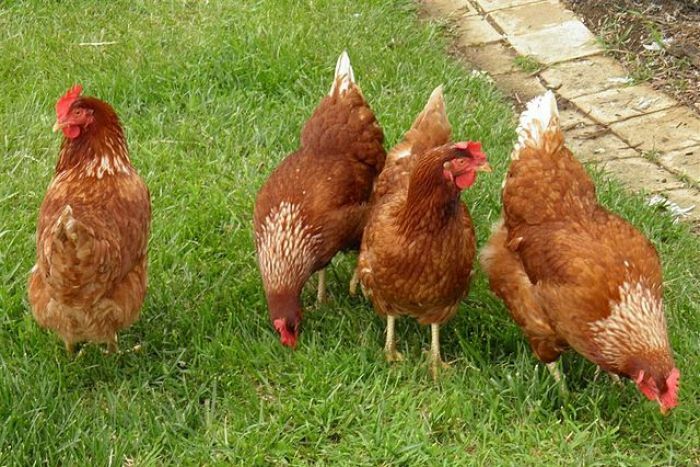 Chickens would be needed to keep the landmines warm to prevent premature or spontaneous detonation. Coups filled with chickens would be placed over the landmines and the collective heat from the chickens would keep the landmines stable until the time for them to be activated. In theory, the idea worked well, but it was never implemented as reality got in the way — the chickens would simply not live long enough to ensure the stability of the fragile weapon. And so, the project was placed on the scrapheap of bird-brained ideas.